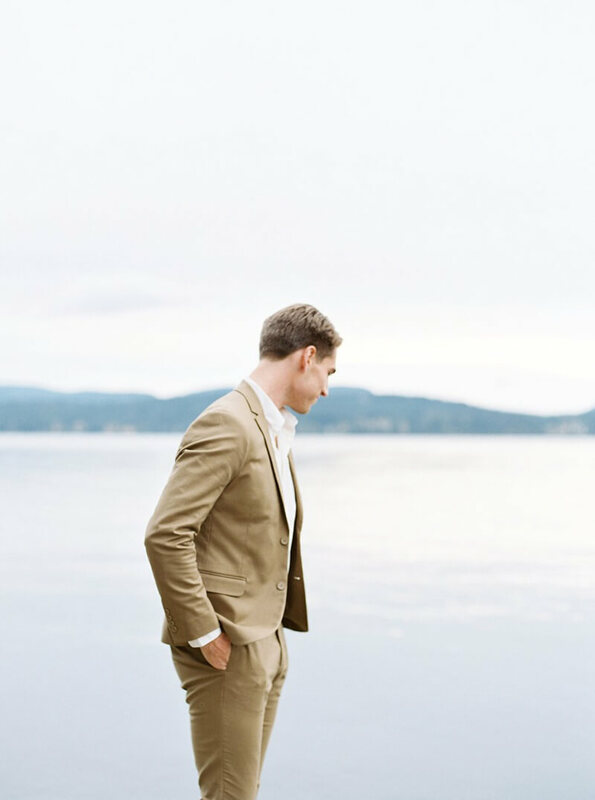 Galiano Island Wedding Inspiration. 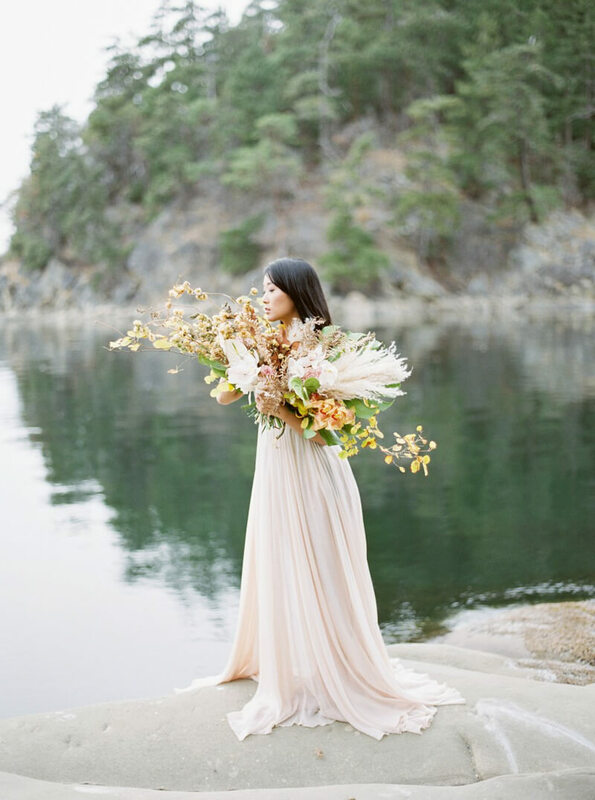 This styled shoot on dreamlike Galiano Island between Vancouver Island and the Lower Mainland of British Columbia, Canada, is an exceptional curation of organic and texture-filled elements. The bride’s unique gowns paired with creative florals enhances this serene setting. The island water evokes a gorgeous blue hue that adds a spark of color to the island's creamy, natural tones. Next to the water on the smooth rock formations is a stoic couple, outfitted with styles that complement their surroundings. 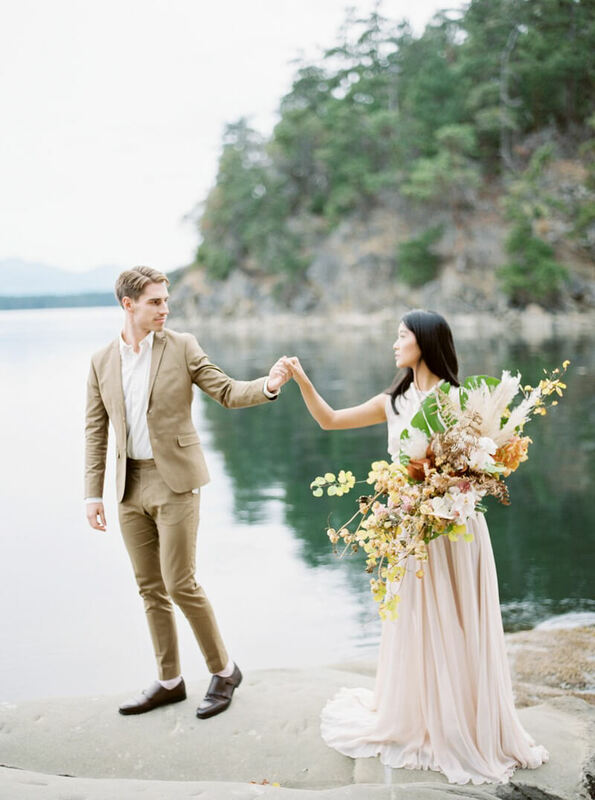 His tan-colored suit and white shirt evoke the colors of the rocks while the bride’s deep V-neck gown injects a bright source of brilliance. Inside the rock formations, she shows off the movement of her gown. The bouquets are dynamic designs full of shape, size and texture, infusing a fresh, yet unique accent into the quiet, soft setting. With the quaint harbor in the distance, the bride shows off a second look. The off-white style with rope detail on the neckline and bodice channels the island’s way of life. Her second bouquet is rugged and wild. Featuring stems, twigs, willow, golden leaves, pampas grass and greenery, a myriad of natural colors create a colorful collection. This serene styled shoot showcases the beauty of a wedding built around a gorgeous natural setting and minimal outside touches. 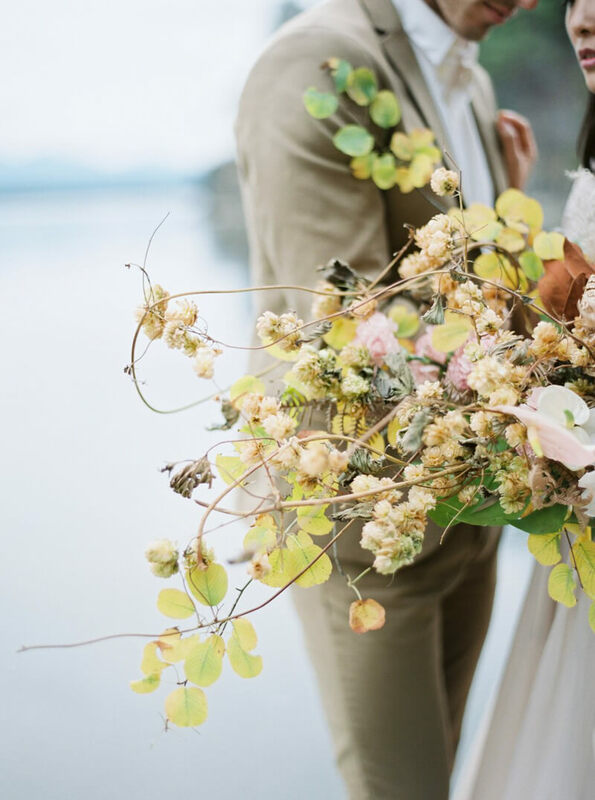 From the couple’s understated style to the floral arrangements, everything is cohesive, inventive and balanced – pure magic.